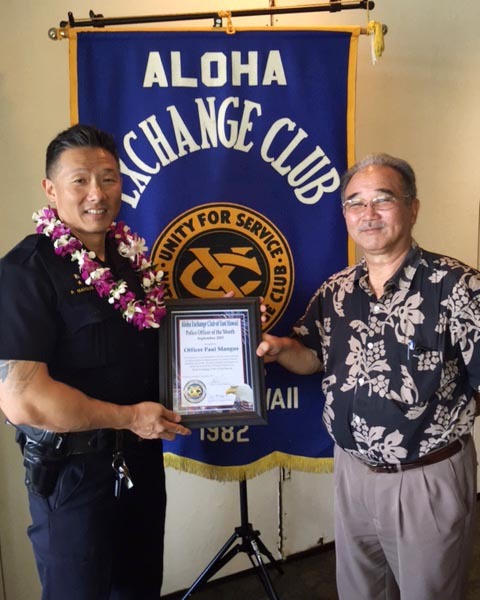 The Aloha Exchange Club of East Hawaiʻi recognized Officer Paul Mangus on Thursday (September 24) as the East Hawaiʻi “Officer of the Month” for September. 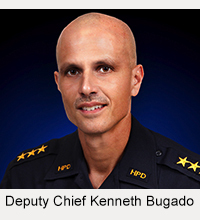 Mangus, a 9-year veteran of the Hawaiʻi Police Department, was honored for going to the aid of a man with a medical emergency. 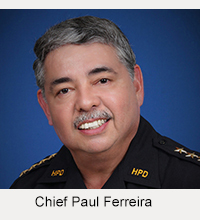 On July 24, Officer Mangus was off duty and waiting to conduct a transaction at a bank in Downtown Hilo when he heard cries for help. A woman was in distress because a man with her was experiencing what appeared to be seizures. Without hesitation, Officer Mangus helped the man to the floor and cleared his airway until Fire Department personnel arrived and took the patient to Hilo Medical Center. Bank employees commended Mangus for his prompt, calm and professional response, which reassured the customers and staff that everything was under control.